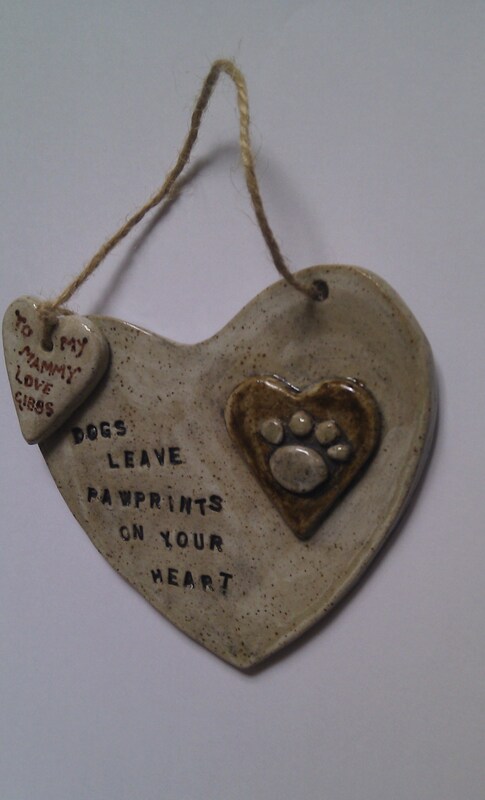 Handmade large ceramic personalised dog or cat themed hanging heart plaque. 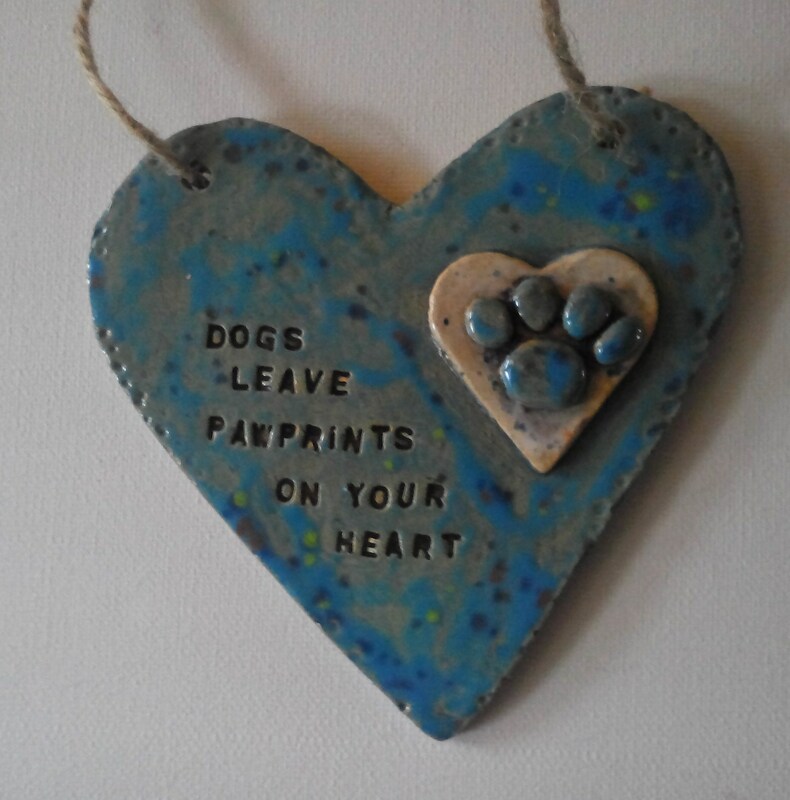 The motto on the front the heart states 'Dogs / Cats (delete as appropiate) Leave Pawprints On Your Heart' . 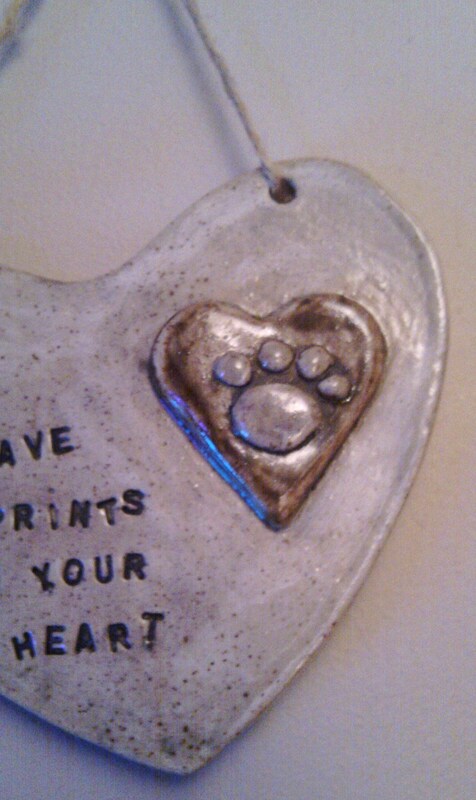 There is also a raised heart to the side embellished with a pawprint. 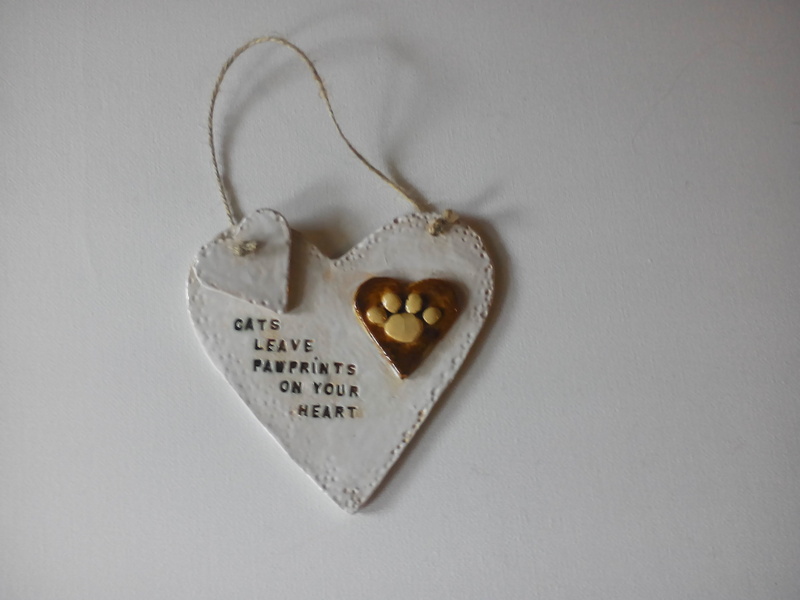 There is a smaller heart attached at the top which can be personalised with a name or short message of your choice. 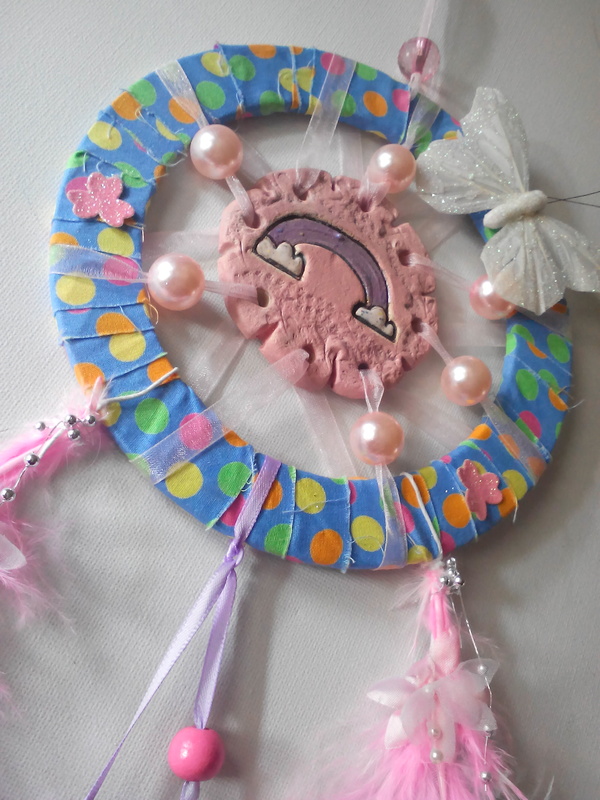 You can also choose to either have the background colour in white, brown, blue or pink. 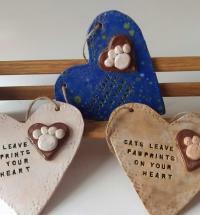 Each one of these dog / cat hanging heart plaques are unique due to them being handmade. 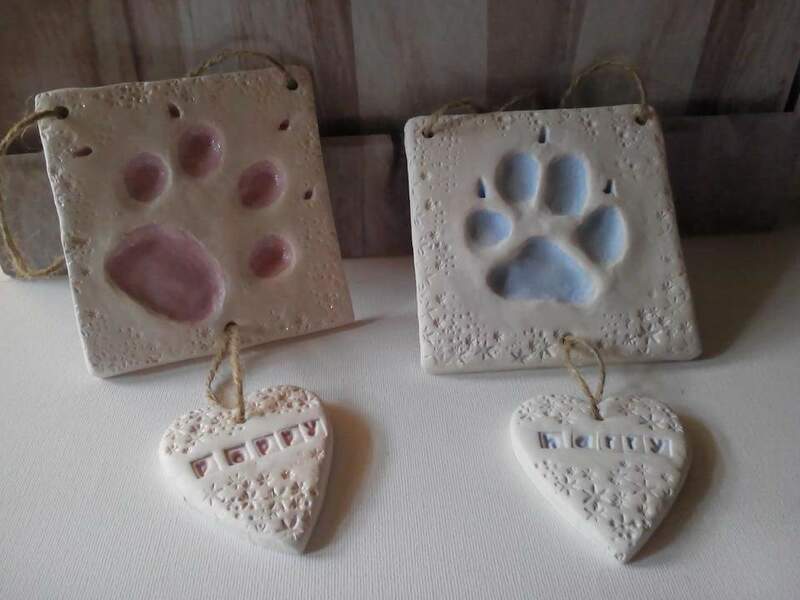 These are often made to order and could take up to 2 weeks to be made. 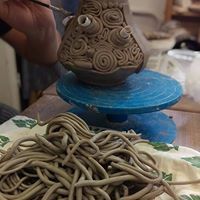 Please feel free to get in touch with any queries beforehand or to check if we have any readily available if your order is urgent by clicking on the 'contact us' button at the top of the page. 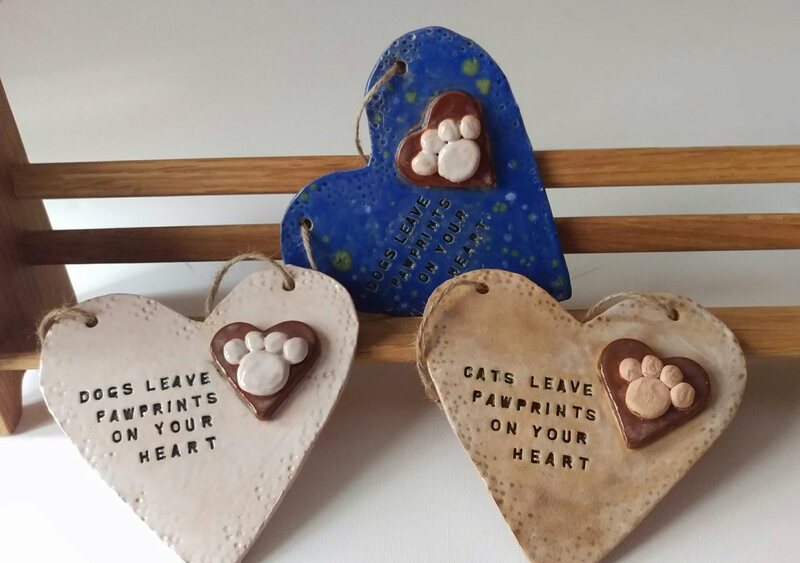 To order, please state your choice of colour below and in the custom message box, state if this is for a cat or dog and what you would like written on your small heart or say ' leave blank'. 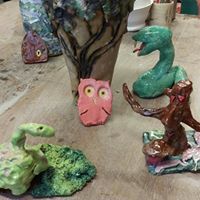 Please check all spelling of words before sending us the details so we can create the correct message for you.